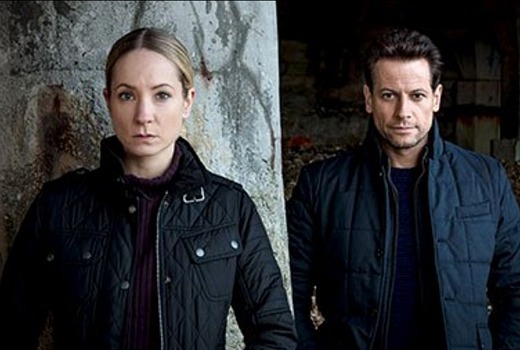 Upcoming UK drama Liar, starring Joanne Froggatt (Downton Abbey) and Ioan Gruffod (UnReal, Hornblower), has been sold to Seven. The six-part drama tells the story of a night that changes the lives of Laura Nielson (Froggatt) and Andrew Earlham (Gruffudd) forever. An initial attraction between them leads to a date but neither fully realises the far-reaching consequences that their meeting will have on each other or their families. The series is due to make its UK debut on ITV later this year. It is written by Harry and Jack Williams (The Missing) and is produced in conjunction with SundanceTV in the US. It will screen later this year. Meanwhile Nine Network has taken Trolls: We’re Coming to Get You, a three-part documentary produced for Channel 5 in the UK. If it were in ABC/iview or even SBS/on demand it would be well, appealing to watch. On Seven it makes it almost feel unwatchable somehow. I like my commercial tv shows, it’s just shows like this don’t get the respect they need with ad breaks shoved in where they don’t belong and time slots not honoured etc. Let’s be accurate… it’s made for ITV, which has ads. So how are the ads put in where they don’t belong? Probably because there will be extra ad breaks compared with what was on ITV. And don’t forget the screen-spam advertising some moronic dramality show with almost zero audience overlap, and the squashed, unreadable credits with more spam and a booming voice-over. I’ll make two predictions – it won’t start at 8:30pm and I won’t be watching it on Seven. I will add a third prediction…UK dramas usually start off very slowly and the numbers after week one will show a massive drop and the shuffling will start soon after. It’s a shame ABC didn’t get this so it would air consecutively for 6 weeks in the same time slot. I expect this in 2018 when they need a filler?!? Seven has now confirmed 2017.